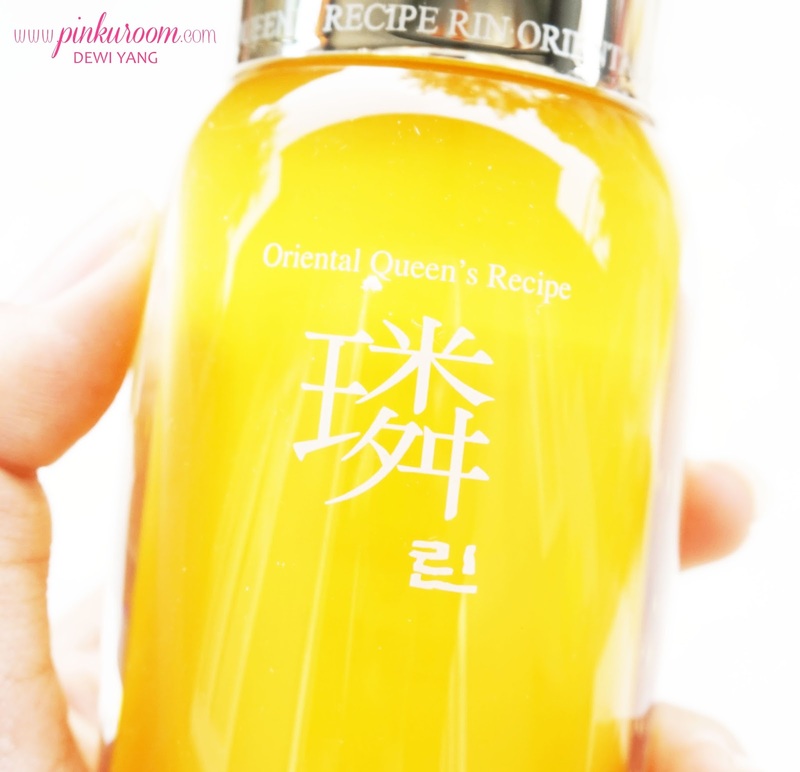 I'm back again with another skincare review from Hansaeng Cosmetics. Before I have reviewed the Rin Bi-gyeol Soo Essence and Rin Bi-gyeol Soo Cream, and now I want to review another essence from this line. Why so many essence products? No no, they only have two range from this 'Rin' product line which is Rin Bi-gyeol Soo and Rin Bi-gyeol Yun. 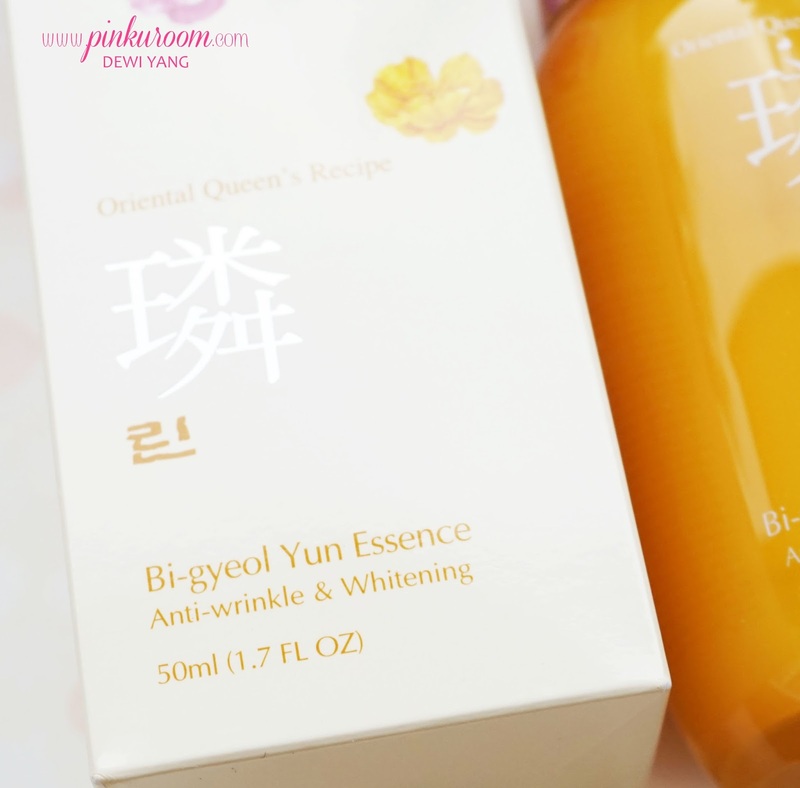 In this post I'm going to review Rin Bi-gyeol Yun Essence. 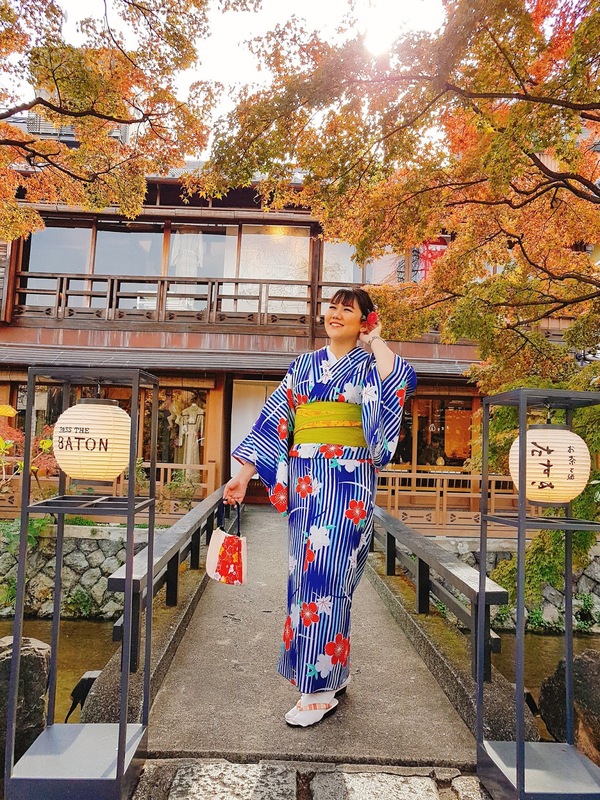 So, what's the difference between Rin Bi-gyeol Soo and Rin Bi-gyeol Yun? Actually both of this product range has the same function for Anti-wrinkle and Whitening. I noticed only the ingredients used that is different. 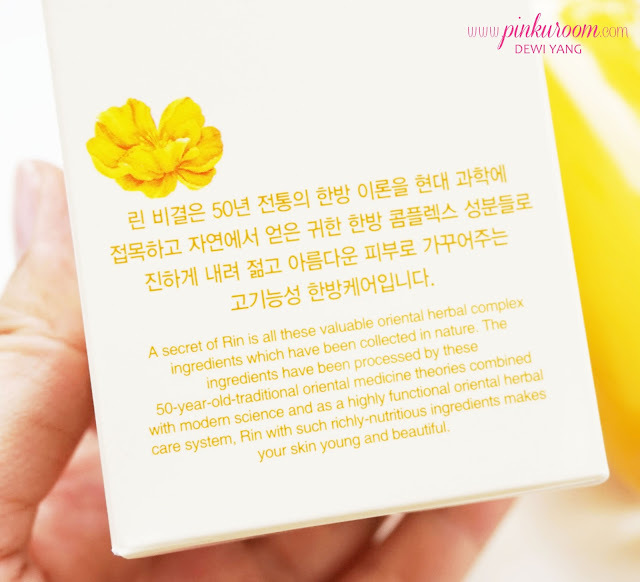 The packaging of Rin Bi-gyeol Yun Essence is the same as the Rin Bi-gyeol Soo Essence, it comes in a glass bottle with silver cap and a pump, but this one is yellow color. Rin Bi-gyeol Yun Essence scent is like a liquid body soap with flower scent haha. I'm not kidding, it's exactly the same. Few weeks ago I just came back from Pramuka Island and there I was snorkling like crazy and playing with my new xiaomi yi until I realized, my skin is VERY uneven T_T especially my upper arms hiks. My face does not burnt like my arms did but it becomes darker and I don't like it. Since I came back from my island trip I'm using this Rin Bi-gyeol Yun Essence until now. The result is amazing! I can feel that my skin is a lot brighter though now it's still very red but it's more radiant than before. Also it does not makes my skin more oily after applied. When applied to skin the essence has cooling effect so it's also soothing my iritated skin. 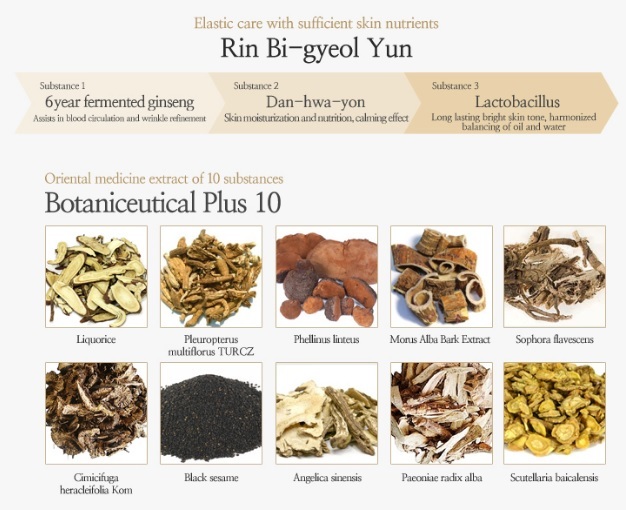 I do recommend this Rin Bi-gyeol Yun Essence for you who wants to get brighter skin, better complexion, and more radiant. 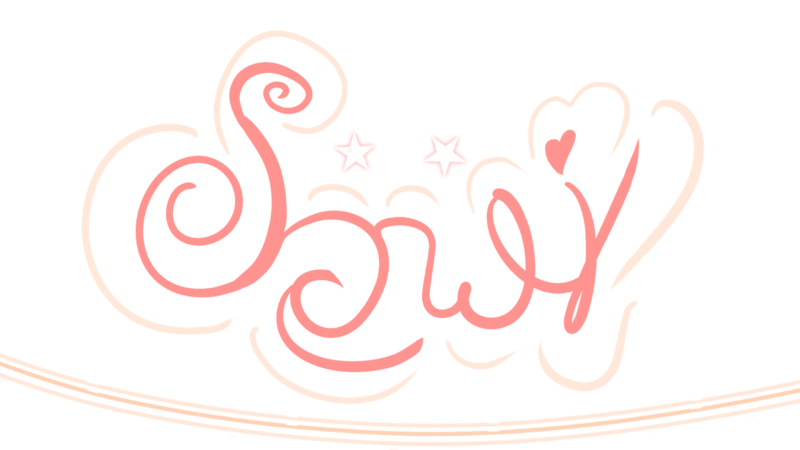 Also for you who are looking for skin care to prevent wrinkles.